The world has changed a lot in the past few years, thanks in no small part to the digital revolution, including great advances in the Internet, networking, security camera systems, DVR viewer surveillance software, and personal computers. Possibly nothing has changed more than the business world, which has countless new tools at its disposal to not only help the company make money, but keep its merchandise, and employees safer. 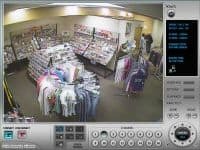 Through the advent of network enabled digital video recorders (DVRs), DVR viewer software, and high speed internet connections, it is now possible for a business to monitor their stores and warehouses remotely, from any part of the world, as long as they have a high speed internet connection. This makes many different things possible for a company when they are monitoring their business, and for this article, we will focus on employee safety. Employee safety is critical to the operation of a business because if the employees do not feel safe, they will not want to work for you. While our world does appear to be getting safer with record low crime statistics, armed robberies do still take place and it is up to you as the owner of a business to ensure that your employees are safe in the event of one. One of the best ways to do this is by installing a video surveillance system with remote viewer capability so that someone can monitor your business remotely over the Internet. This means that if you have employees working late into the night, in a bad neighborhood, you can be at home watching that they are safe. You can also hire a company to monitor your security cameras for you. This is the equivalent of having a remote security guard. Let’s look at a scenario to show just how safe you make them. You are at home watching your business on the computer using DVR viewer software connected remotely to your surveillance system located at work. The DVR of the surveillance system is connected to the router at your business so that it can be accessed over the Internet. You log into the DVR viewer and are able to see your employees talking to customers and doing the usual evening business activities. Everything looks to be good and in order when you suddenly see some shady characters looking at the counter and casing out the business. Your employees are busy with other customers and they do not see the possible danger. Now, you have the choice of one of two things. You can call your business and alert your employees to keep an eye on the shady customers, or you can wait to see if something happens and if it does, call the police immediately. The point is not which option you decide to take, as both will greatly improve the chances of a safe outcome for your employees. The point is that you have the options themselves, and without the shady customers even knowing it, your surveillance system has provided an eye in the sky that they have not anticipated. There was a time, long ago, when having this sort of sophisticated set up required high priced security cameras and CCTV equipment that could be used to monitor your business remotely. This meant huge equipment and installation costs, and for most companies, it was simply not worth the price on the off chance of a robbery. Things, however, have changed incredibly and that is no more apparent than in the current prices of surveillance systems. For as little as $1200, you can buy a professional CCTV surveillance system from CCTV Camera Pros, including 4 dome security cameras (the indoor dome cameras used in the system pictured throughout this article), a 4-channel surveillance DVR including DVR viewer software (the 4 channel version of the DVR used in the pictures on this page), and all of the cables and connecters needed for a simple plug and play installation. These systems will record video of what is happening in the store digitally onto the hard drive of the DVR. The DVR of this particular system comes with a 250 GB hard disk drive that is capable of storing about a week worth of video. Upgrades are available if more video storage is needed, and the surveillance video can be backed up using the built in CD burner or USB drive. This system is also networkable which means that you can access your cameras remotely over the Internet using the DVR viewer software that comes with the system. You probably already have an Internet connection and computer at work, so all that is left is buying a networkable video surveillance system. 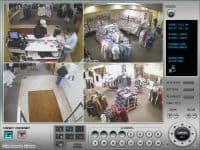 While crooks and robbers will not know you have a remote viewable video surveillance system set up that can be monitored from anywhere, your employees will. For them, they will see the measure of setting up the security cameras as an indication of how you care for your employees and your desire to keep them safe. They will feel more at ease at their job when the ‘eye in the sky’ is watching to alert them of any danger, while at the same time, giving them the ease of mind that comes from knowing that if someone does rob the store, they won’t have to wait to call the police until after they leave and that video will be captured to help prosecute. Setting up a surveillance system in your businesses means that it is much harder to get away with robbery and you are not only going to keep your employees safe, you are helping to keep your businesses safe for everyone. When someone robs a store and gets away with it, they begin to think they are invincible and they choose to attempt the robbery again. This puts others in danger, and given enough time, could lead to a tragic death. However, with remote Internet surveillance monitoring provided by networkable DVRs, you can have the police capture a robber before they even know what is happening, or have left the store. It is not unusual to think of a surveillance system that allows you to monitor a location remotely as something that can make society not only safer, but also better. 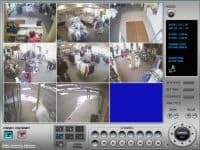 When you are thinking of ways to make your business safe for employees, you may want to consider a video surveillance system, because security cameras make the world a safer place for employees and customers alike.